Lisa and I decided to do something completely different from the places we usually hike. 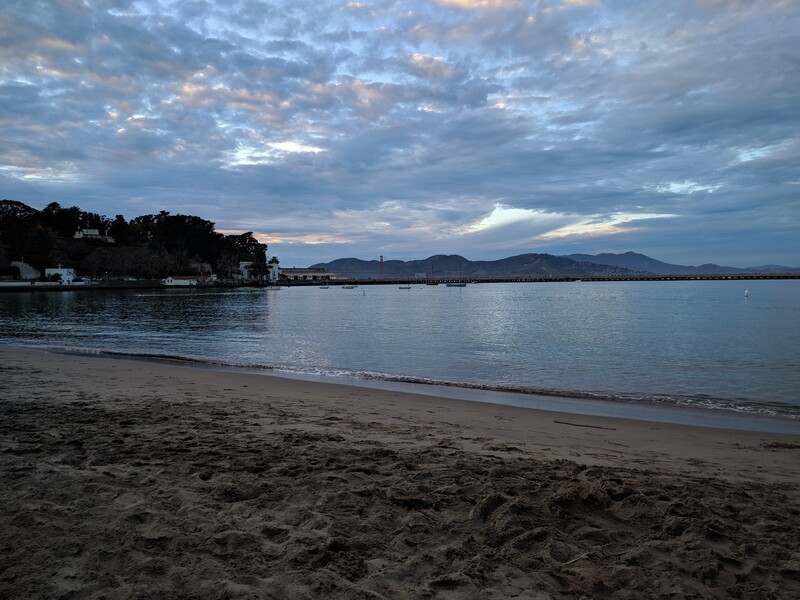 We headed to San Francisco to explore the area around Fisherman’s Wharf. 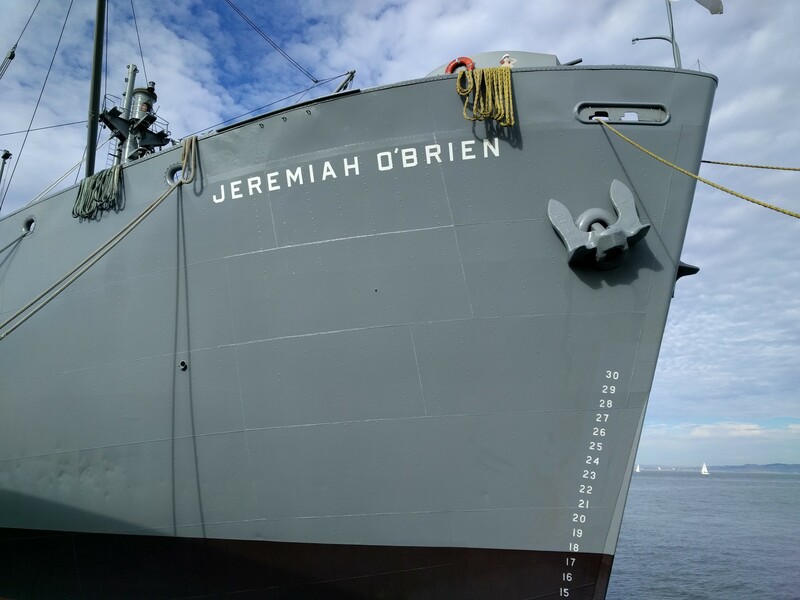 We ended up spending a good part of the day on a self-guided tour of the S.S. Jeremiah O’Brien which is a fully equipped and operating ship that sails several times a year. 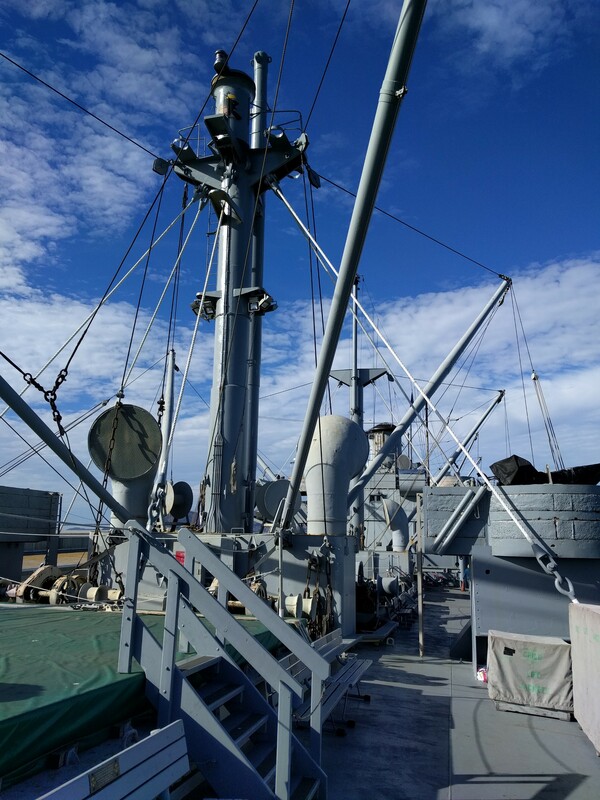 To be allowed to go just about everywhere on a W.W. II Liberty Ship was worth the price of admission. We talked with the docents and one happened to work at another National Laboratory. 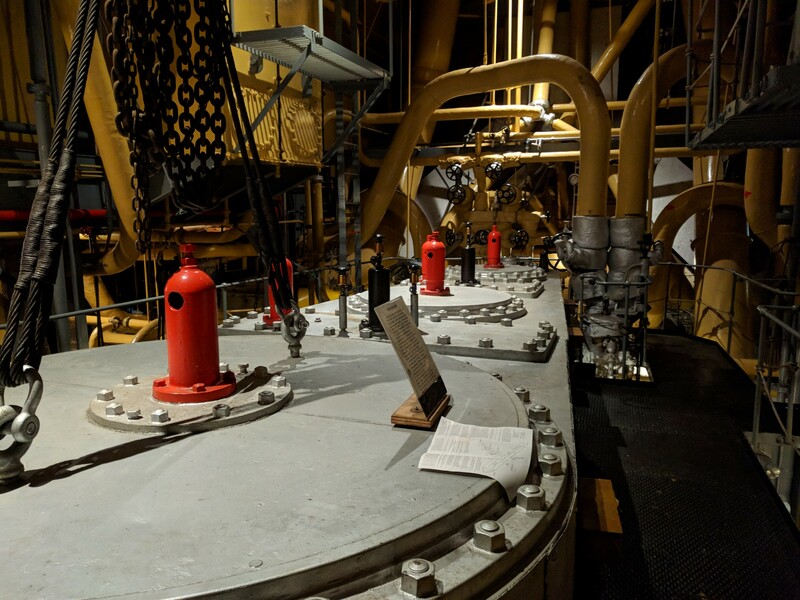 He offered to take us all the way down to the lowest part of the engine room and showed us other parts of the ship that were not accessible due to safety reasons. 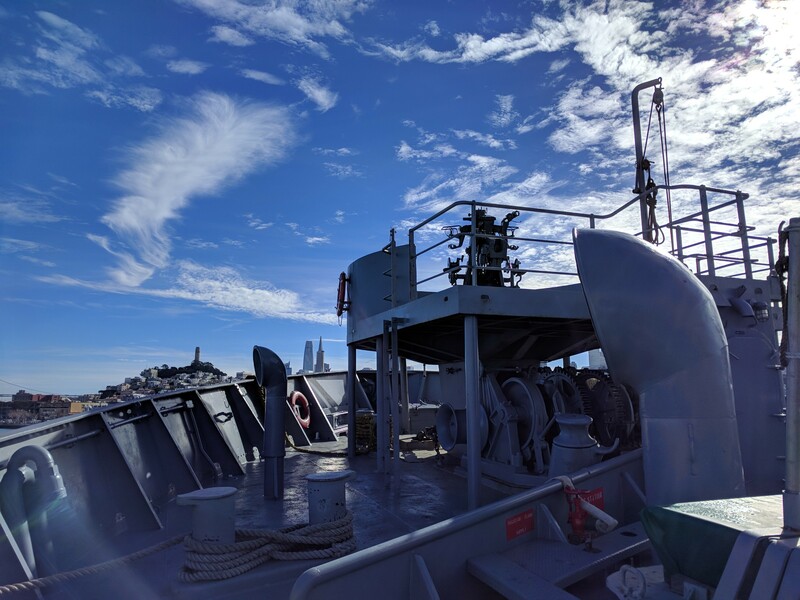 From the bow of the ship Coit Tower and the TransAmerica Pyramid can be seen off in the distance. Above is the machinery to lower and hoist the anchors. 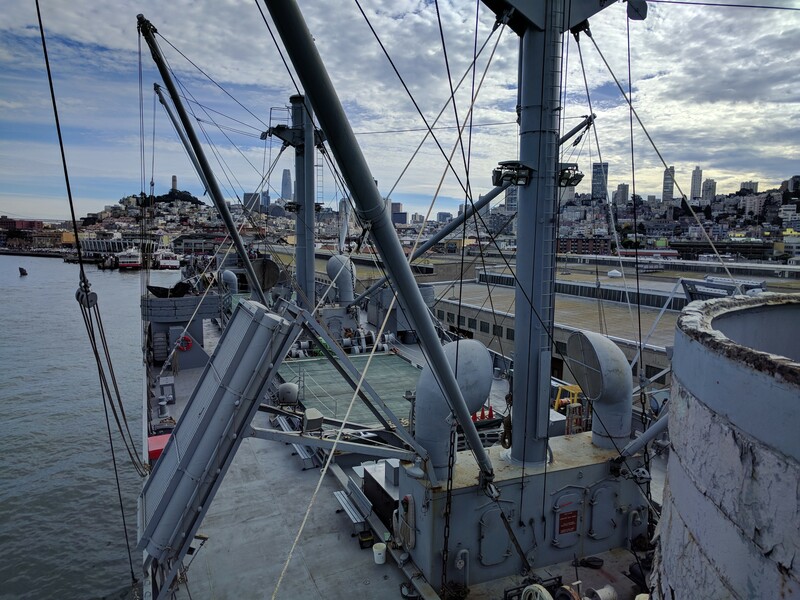 Below is the view from the bow looking towards the stern of the ship. The engine room was an amazing space of old machinery. The image below shows the the top of the steam engine. 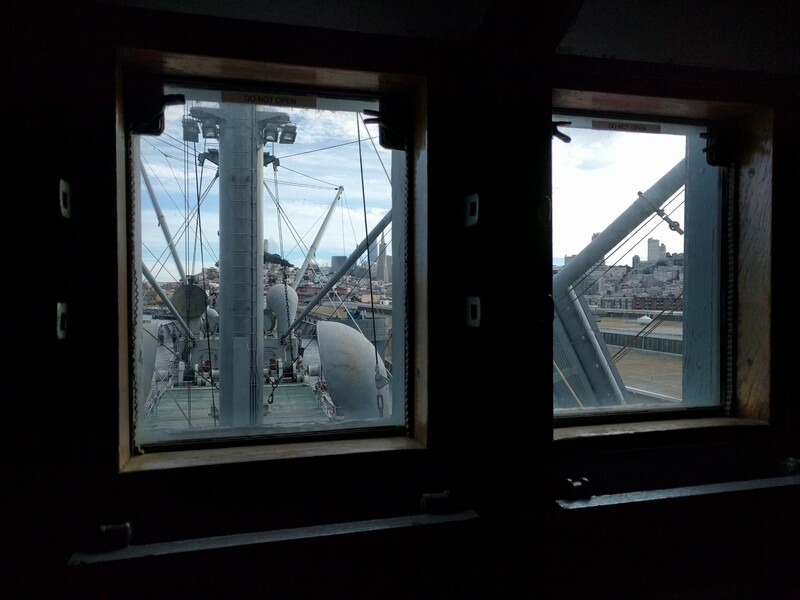 We eventually made it to the Wheelhouse of the Jeremiah O’Brien which surprised me with its stark simplicity. Above is the view from the Wheelhouse. 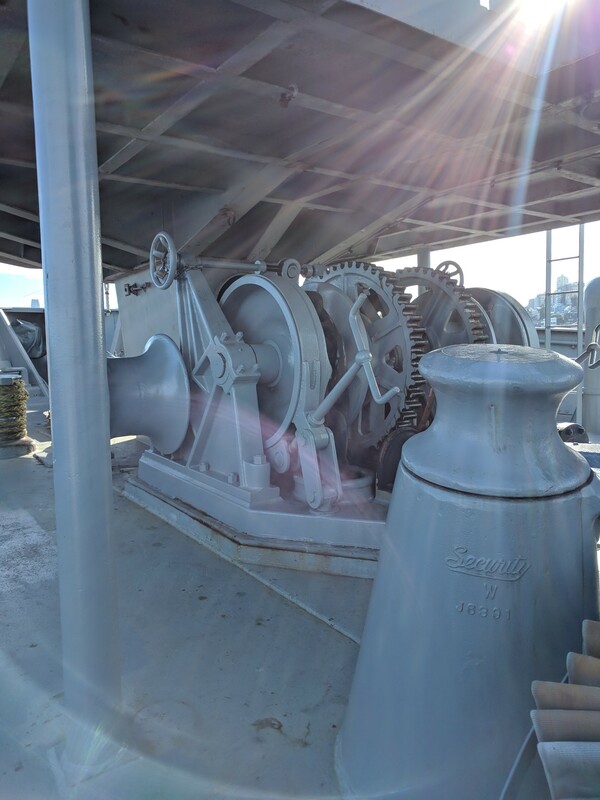 The image below is from the Port side of the Flying Bridge. 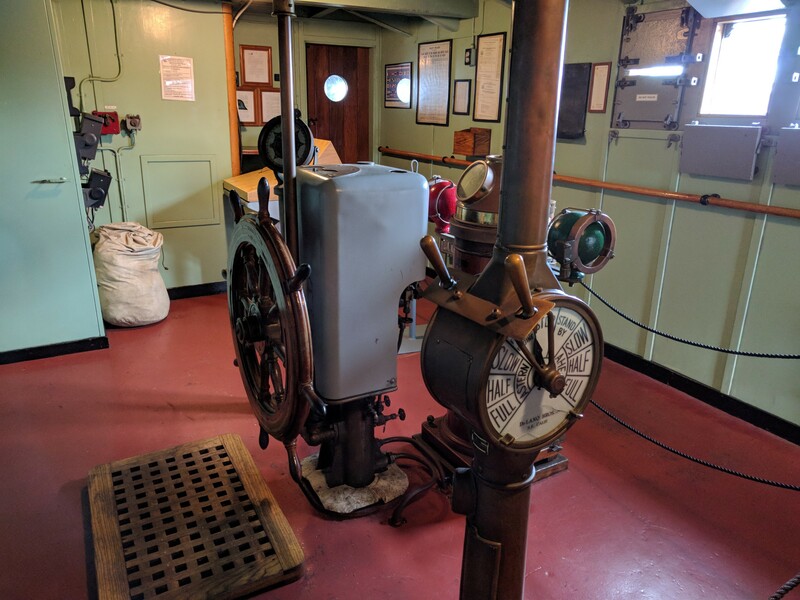 While talking with the docent down in the rudder motor room, he mentioned meeting the man who made the pattern for the casting of the rudder gear. I mentioned that my great grandfather was a pattern maker for Wedgewood. He replied that my great grandfather would have been working for his family who owned and ran the foundry. 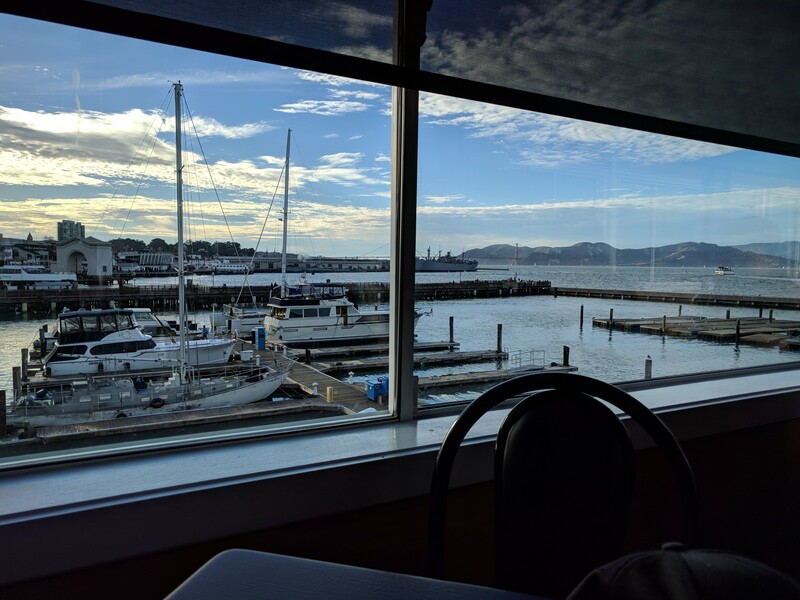 After much searching we ended up having a late lunch/early dinner at Swiss Louis Italian & Seafood Restaurant on Pier 39. From our table we could see the S.S. Jeremiah O’Brien and the Golden Gate Bridge. 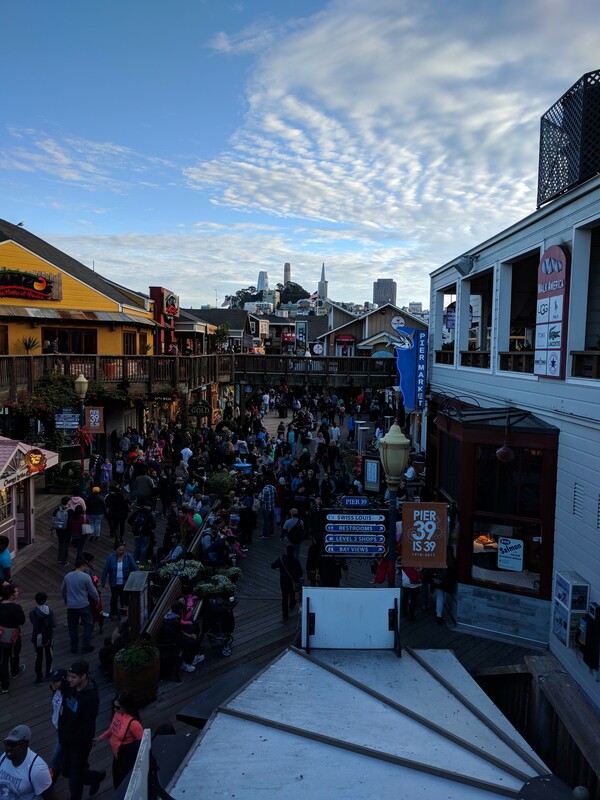 We avoided the masses by staying off the beaten path but stopped to enjoy the view of the city from Pier 39. 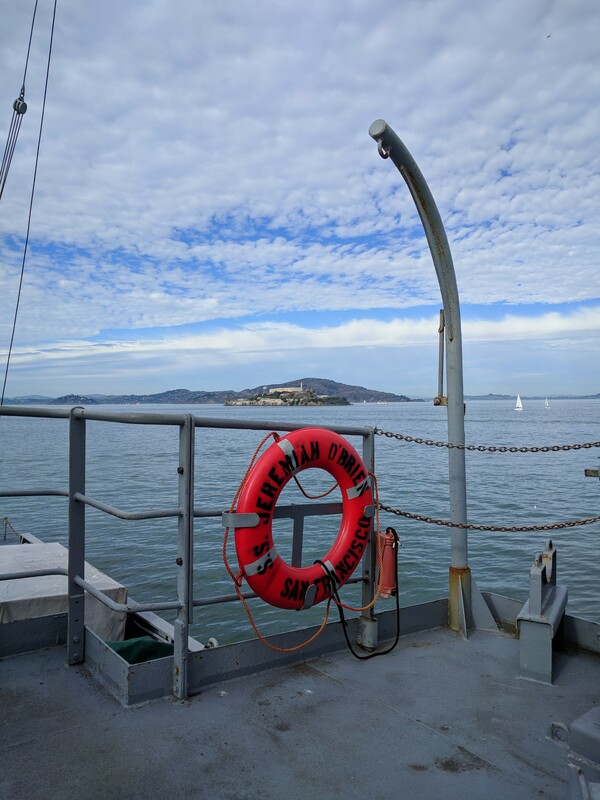 We ended our adventure at the San Francisco Maritime National Historic Park. The weather was warm for this time of the year without the wind and fog that San Francisco is famous for. Thanks, Amy. There was a lot to see on this ship that took us back to a another place in time.